Betty is passionate about serving others through coaching and mentoring. While living in South Africa, Betty saw the devastating effects poverty and powerlessness have on girls and women. She also saw what happens when girls and women are offered even modest opportunities for empowerment: Women discover independence, girls seek education, and life changes for entire families and communities are positively altered as the cycle of poverty and dependency is broken. Inspired by her experience in South Africa, Betty came back to the United States and founded EmpowHer. Its mission was to make a difference in the lives of disadvantaged girls and women by offering them opportunities to enhance their lives through the development of entrepreneurial, business, and life skills that lead to economic independence. Since its inception in 2003, EmpowHer has served thousands of girls and women in the Los Angeles area. Betty earned a BA in Business Administration from California State University at Los Angeles and an MBA from Pepperdine University. The Mayor of Los Angeles and California’s Lieutenant Governor have honored Betty for outstanding community service as an activist for change as well as for her contributions to a variety of youth organizations. Betty is an author, speaker, businesswoman, entrepreneur. She received the 2015 Services to Youth Award from Palos Verdes Chapter of Links, Inc, a 2014 Friends of Fuller Foundation Humanitarian Award , a 2013 Soroptimist International Ruby Award by the Camino Real Region. A 2012 Pepperdine University George Award winner for Community Service she was also 2010 Los Angeles Business Journal honoree and finalist for the Women Making a Difference Award. Joslyn Osborn is a Partner with Vaco Los Angeles and is responsible for expanding, leading, and training the executive search team. 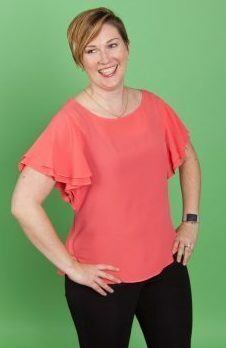 She has more than ten years of client service and recruiting expertise for finance and accounting professional roles. Joslyn has expanded the Vaco Financial team, driven internal process improvement and increased revenue and EBITDA by 200 percent. She is active in the community, launching The Grid in LA, an informal networking group for emerging CPAs and serves as a mentor for middle school girls through her work with EmpowHer Institute. 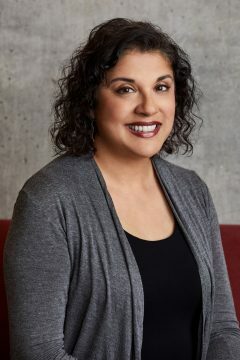 Ribka Fox recently joined Starz Entertainment as the Vice-President of Human Resources and Organizational Development. Previously, she served as the Human Resources leader for Quest Diagnostics’ West Region Division. Prior to joining Quest, Ribka has held various global HR leadership roles at Honeywell, Merck and Medtronic. Ribka started her professional career as an engineer with General Motors and Hughes Missile Systems Company, before transitioning into Human Resources. She holds an MBA from the University of Michigan Ross School of Business, as well as a B.S. in Mechanical Engineering and B.A. in English Literature from the University of Michigan. As well as serving on the EmpowHer Board, Ribka also serves as an Executive Mentor for Healthcare Business Women’s Association (HBA) and Women Unlimited. Ribka resides in Sherman Oaks with her husband and two children. 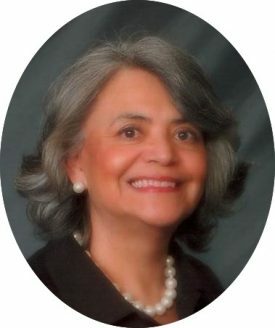 Rosa Carrillo is President of Carrillo & Associates a leadership development, coaching and change management consulting firm specializing in cross cultural training (USA/Latin America) and team development. Rosa was raised in Mexico and educated in the USA. She is fluent in Spanish and English and has built teams, designed and implemented leadership development programs and culture change projects for major corporate and government clients, including Toyota in Tecate, Mexico, Ralston Purina in Latin America, Johnson & Johnson world wide, Southern California Edison, Mobil Chemical, Owens Corning, and Lawrence Livermore Laboratories. The author of numerous articles, Rosa is a graduate from University of California at Los Angeles, B.A., Spanish Literature and Pepperdine University with M.S., Organization Development. Claudia Alleyne, M.D., is a neo-natologist (pediatric sub-specialist who has special training to evaluate and treat newborns’ medical problems) and Medical Director of the Neonatal Intensive Care Unit (NICU) located at the Kaiser Permanente Anaheim Medical Center. She provides medical care to newborns that are born prematurely, critically ill, or in need of surgery. Her medical career began as a graduate of Harvard Medical School with her residency at Brigham & Women’s Hospital in Boston, Massachusetts. She served on the Board of Directors of Planned Parenthood Los Angeles for six years, motivated by the belief that women deserve access to comprehensive health care and accurate education regarding contraception and reproductive choices. 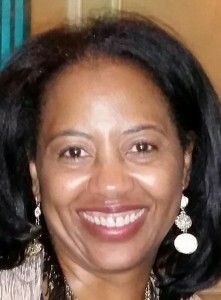 Claudia has been an active member of the Association of Black Women Physicians (a Southern California-based organization), serving as president, vice-president, treasurer, and chair of several committees. 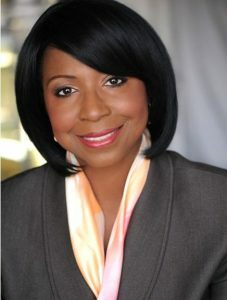 Velonne Atkins is currently the News Business Manager for KCBS/KCAL, the largest local station duopoly in the country. She has held positions at ABC Network News and ABC 20/20. As an entrepreneur, Velonne and a partner, established Cahuenga Coffeehouse, converting an old check cashing space to a hip-happening alternative to the Starbucks coffee experience. The coffeehouse business was sold and now operates as Cafe Etc Hollywood, but Velonne relishes in the fact that she was at the helm of what is now a thriving comer/corridor with burgeoning businesses that used many of her plans for redevelopment of the area. In addition to her entrepreneurial ventures, Velonne enjoys travel, particularly to jazz festivals both domestic and international, event planning, and real estate activities. Velonne is originally from Fort Worth, Texas. She relocated to Los Angeles, California, where she completed her Bachelor’s degree at Pepperdine University. 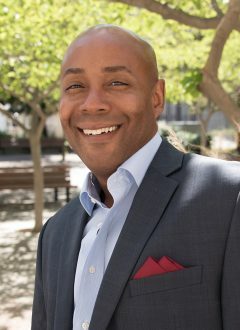 Tony Baylis is the director of the Office of Strategic Diversity and Inclusion Programs at Lawrence Livermore National Laboratory (LLNL). Tony is a senior manager who serves as a champion, ambassador, and advocate for diversity and inclusion at LLNL. He manages the Laboratory’s interactions and successful execution in building, partnering, and collaborating with governmental, educational, industrial, community, and multiple stakeholders to assist the laboratory in striving to build an inclusive workforce to meet LLNL’s national security mission. He represents the Laboratory on the topics of diversity and inclusion, STEM, outreach, workforce initiatives, and student programs. Tony serves as LLNL’s compliance point of contact for equal employment opportunity and affirmative action programs. He also encourages and manages the engagement of the Laboratory’s 10 Employee Resource Groups that contribute to the Laboratory’s workforce, inclusion, and outreach efforts. He has also mentored students and staff on navigating their studies and careers in science, engineering and technology. Lastly, Tony serves as an advisor, consultant, and champion to the Department of Energy, minority-serving institutions, diversity organizations and universities, and serves as a co-principal investigator, an advisory board member, and a board member for institutions and projects that promote the advancement of women and people of color in science and technology careers. In 2018, he became the inaugural chair of the ACM SIGGRAPH’s (9k member organization) Diversity and Inclusion Committee. He aims to carry out the committee’s goal of creating a welcoming and nurturing community for everyone working in computer graphics and interactive techniques. Tony’s passion is advocating for access, equity, and opportunity for the underserved and underrepresented communities in science and technology. Tony is a member of SHRM, ACM and ACM SIGGRAPH. Leadership development and coaching have been at the core of Lori’s work and passion for most of her career: from her experiences in Corporate America where she was both a leader and a developer of leaders, to volunteer work in counseling youth leaders, to leading and developing adult volunteer leaders in many different organizations, to the founding of her management consulting firm in 2004, that specializes in Strategy, Leader and Team Development. Her firm, The Heffelfinger Company, Inc provides Executive Coaching, Strategic Planning, Team Alignment/Team Development, Experiential Leadership Programing (from Executive Retreats to Workplace Simulations to cohort-based Leadership academies, plus). The firm maintains a small network of highly experienced coaches and consultants across the country who provide the excellent programing offered by The Heffelfinger Company. Lori holds a MS in Organization Development from Pepperdine University, a BS in Business Administration from University of Nebraska, and post graduate education in contemporary Gestalt theory applied to organizations. She won Alumni of the Year in 2015 from Pepperdine University Graziadio Business School and has taught in the MSOD, MBA, and Certificate programs at Pepperdine University since 2005. Lori lives in Redondo Beach with her husband James and their two cats. She loves hiking, swimming, biking, quality time with friends/family, and EmpowHer. Diedra Porché is the Senior Vice President Market Manager for the Government and Not for Profit Business Banking division covering the Western Region. She is responsible for the banking and finance needs of Municipal and Not for Profit clients. Most recently, Diedra served as the Market Manager for Los Angeles Business Banking (2012-2017), overseeing the financial needs for clients up to $20MM in annual revenue. Prior to that she was Division Manager in Houston Texas for the Government Banking Team in the Commercial Banking group (2007-2012). Having been with Chase Bank for 23 years, her prior positions include various leadership and managements roles in Retail, Business Banking and the Commercial Bank. A Houston native, she earned her B.A. degree in 1991 (Bachelor of Arts, Political Science) and a M.A. 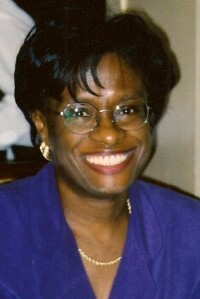 in 1994 (Master’s Public Administration) from the Texas A&M University. Diedra’s affiliations in Houston included Board Member of the Houston Downtown Management District, Education Committee member for the Greater Houston Partnership, Director of the executive committee for the City of Houston- Bank on Houston Program as well as graduate of Leadership Houston Class XXVII. Diedra is currently an active board member for the California Bankers Association representing JP Morgan Chase. She is also a former board member for the YWCA GLA. 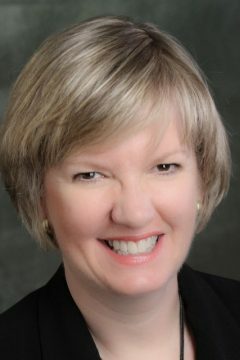 Additionally Diedra co-chairs the Los Angeles Chase Market Leadership Team. Diedra is married to Kerry Porché and they have two children, Rachel and Jonathan. Diedra is also a member of Faithful Central Baptist Church where she participates in various church and community activities. 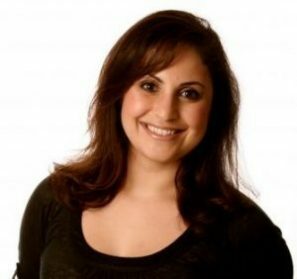 Dr. Mary Sadeghi is a board-certified Emergency Medicine Physician. She completed her Residency at Los Angeles County, USC Medical Center. She received a Bachelor of Science in Psychobiology from UCLA and Doctor of Medicine from Albany Medical College, Albany New York. Even with the demands of her profession, Mary spends much of her time away from the hospital volunteering in her community as well as abroad. For the past several years, she has volunteered at Homeboy Industries performing laser tattoo removal for at-risk, formerly gang-involved youth so that they may become contributing members of society. She has also volunteered her time as a physician abroad in San Lucas Toliman, Guatemala, Port-au-Prince, Haiti, and Boa Lac, Vietnam, as well as an orphanage/school in Kitengela, Kenya. Her greatest passion, however, is to help empower young girls so that they may gain the confidence and self-worth to lead successful and productive lives. She spent several years serving as a mentor to the girls in EmpowHer before joining the Board. 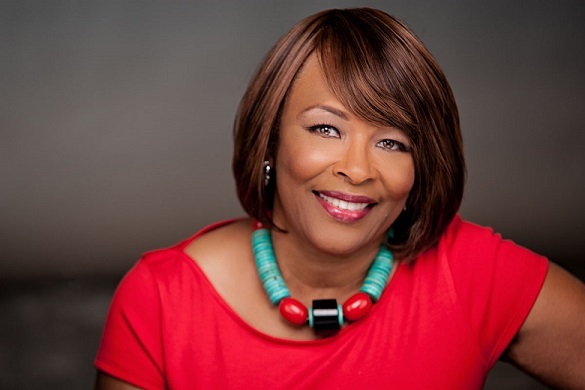 Ruth M. Simeon is Principal Consultant for Improvement Technologies and has years of experience as a consultant, senior corporate manager, and nonprofit executive. Her Human Resources, Organizational Development and business management expertise has assisted companies in making major shifts in business strategies and practices. Those shifts have positively affected the capability and diversity of leadership, the visibility and career development of underrepresented employees, as well as the improved performance of managers and teams. Improvement Technologies helps companies design and implement mentoring programs which help achieve business outcomes and strengthen leadership. She wants to share this expertise within the community to help build future leaders at the earliest opportunity. She has a Masters in Psychology from Pepperdine University (top 1%). As a Hoosier Scholar, she earned a B.A. from Indiana University and completed executive coursework Â in Finance at Stanford University Graduate School of Business. Ruth is a certified Senior Professional in Human Resources. She was recognized by the City of Los Angeles for her work as Workforce Investment Board Commissioner. 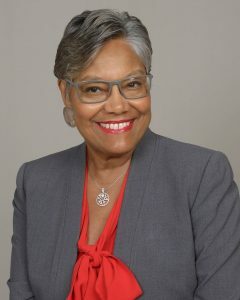 She is former President of the California Diversity Council, adjunct professor at Butler University and guest lecturer at the USC Graduate School of Social Work.